THE HARRY LIME THEME BY ANTON KARAS. EDITED BY RON HINKLE. 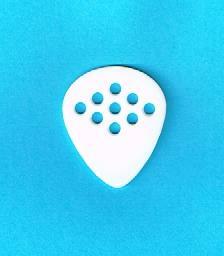 Location: /Plectra/WEGEN HAND MADE PICKS - THE PLAYERS FIRST CHOICE. PRICE RANGE £3.75 - £25.00. 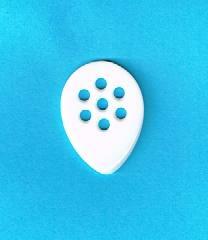 We only stock Wegen white picks, apart from the left handed Gypsy Jazz 350 which is black. Hand made by Michel Wegen in the Netherlands. His picks are the player’s choice worldwide. The material used sounds remarkably like tortoiseshell, but lasts much longer. 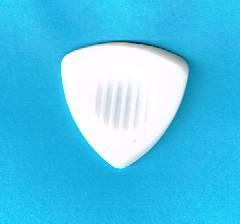 The Gypsy Jazz 350 pick has a nice bevelled, curved tip. Both sides have grooves for a non-slip grip, the thumb side is concave, for right handed players. 3.5mm thick, 30mm long, 26mm wide.You may also be interested in our buffalo horn Gypsy Jazz 350 pick. Click Here. In the 'options box below, if you choose 'Left Handed' we will send a Wegen Gypsy Jazz 350, left handed pick. Clifford Essex Gypsy Jazz 250. Michel Wegen says that these are the ultimate picks for the serious bluegrass guitarists. You may also be interested in the Clifford Essex Buffalo Horn Bluegrass Pick. The 'Fatone' is designed for a loud, bright, sparkling tone on acoustic guitars The material used sounds remarkably like tortoiseshell, but lasts much longer. 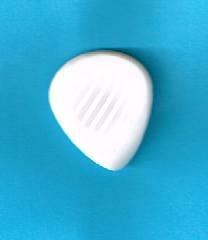 The pick has a nice bevelled, curved tip. Both sides have grooves for a non-slip grip, the thumb side is concave, for right handed players. 5mm thick. Michel Wegan Jazz Pick: The Bigcity Pick is especially designed for acoustic jazz and blues guitar, and it also lends itself to the electric guitar. It is 29 mm long and 1.8mm thick. If you like the BigCity pick, you will love this. New for mandolin players. Now a Wegen pick in the shape and dimensions most popular with mandolin players. These picks greatly improve a mandolin's tone and volume. All tips are beveled. Dimensions: 28.5mm long, thickness for the Mandolin 100 is 1.0 mm. If you like the Wegen Mandolin 100 pick, you will love this. These picks greatly improve a mandolin's tone and volume. All tips are beveled. Dimensions: 28.5mm long, thickness for the Mandolin 150 is 1.50 mm. For the connoisseur - Highly recommended. If you like the Wegen Mandolin 150 pick, try this. Trimus is the name for thicker triangular Wegen picks, all with the bevelled tips and the familiar grooved indented grip. 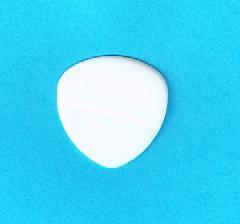 The Trimus series are based on the most popular triangular pick shape and size, this one is 2.5mm thick. Great feel, grip, sound and wear. More suitable for playing solo, but feel free to use this one for rhythm playing! The triangular pick in the most popular shape and size for thinner triangular picks. All the TF Wegen picks have the "fingerprint" surface, beveled tips for fast playing and seven holes for grip. 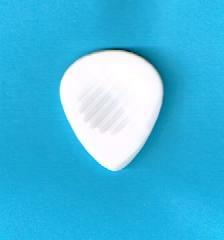 This pick is perfect for acoustic instruments like the banjo, mandolin and guitar. 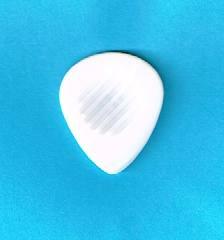 A lot of our customers tell us the TF picks make an excellent mandolin pick. Available in thicknesses of 1.00mm, 1.2mm and 1.4mm. 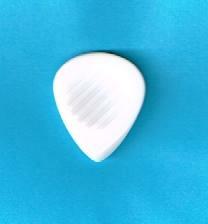 See also the CE-100 buffalo horn pick - Click Here. Postage UK: £2.00 Royal Mail 'Signed For'.